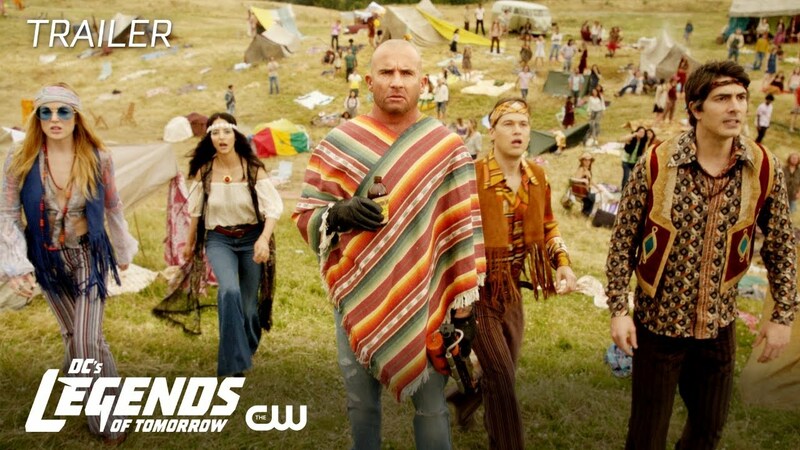 Comic-Con: DC's Legends of Tomorrow Season 4 Trailer Arrives! Casting for the new season was also announced including Ramona Young (Blockers, Santa Clarita Diet) in the series regular role of Alaska Yu. A typical twentysomething easily swept up by romantic notions and fantasy novels, she’s something of an expert in the world of the magical creatures that the Legends encounter in season four. In the company of the Legends, she soon learns to get her head out of the clouds to become a kickass superhero. In addition, Tom Wilson (The Informant, Back to the Future, The Mayor) will recur as Nate’s (Nick Zano) father, Hank Heywood. With a lifetime in the military and Dept. of Defense, Hank is part of a long line of Heywoods to serve the country. Charming and charismatic, he’s left big shoes for Nate to fill — and it doesn’t help that Nate can’t tell him he’s secretly a Legend!